I say this about every language, but in reality, there is no single best way to learn Arabic. What works for me might not work for you, and with over seven billion people on the planet, there’s no one way that is guaranteed to work for everyone. That said, I do have a few thoughts on the best way to learn Arabic that should work for most people. First, decide which dialect you want to learn. I talk about dialects in this post here, but I’d suggest you begin with Modern Standard Arabic (MSA). I go into my reasons in my post on the Arabic language. Once you’ve decided which dialect to learn, it’s time to move on to the alphabet, so you can learn how to read and write in Arabic. If you haven’t picked up the alphabet yet, you can check this post on the Arabic alphabet to learn more. The next step is to begin picking up a few core vocabulary words, and commonly used phrases. I have a post here that goes into this a bit more in-depth. Actually, I have a whole post here on learning Arabic. – Make sure that you’re committed to the process. There are no short cuts to learning a foreign language, and this is certainly the case with Arabic. – Be consistent and make time every day, or nearly every day. You’re far more likely to get results studying every day for 15 – 20 minutes than cramming in a few hours a few times per week. – Immerse yourself as much as you can. This doesn’t mean fly off to the Middle East for a few weeks. That’s not practical, and for beginners, immersion is not very effective. That said, there are loads of great resources where you can listen to the news in Arabic, watch Arabic videos or watch formal classroom settings with people learning Arabic. Seriously, it’s that simple. Type in what you want to learn, you’re going to find it in more formats than you can imagine! Finally, if you’re really serious about it, force yourself to speak Arabic a little bit each day. Why? The best way to learn Arabic is to practice it. 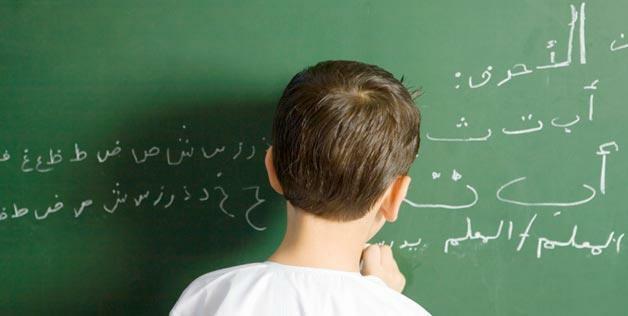 No matter how shy you may feel, there is tremendous value in speaking Arabic out loud. You don’t even need another speaker to do it. Practice at home in your bedroom with the doors locked when no one is around. You’d be amazed at the results you can get!